Not all ideas can stand the test of time. That’s why I thought it would be a good idea to publish a short essay on the 100 year anniversary of an influential argument developed by Arthur James Balfour. Though his name will be unknown to many, most will have heard, at least indirectly, of his controversial thesis. Balfour was an interesting, if not complex, personality. Among his many achievements, he was the Prime Minister of the United Kingdom in the beginning of the twentieth century. And in addition to being a professionally trained philosopher, he also served as the President of the British Association for the Advancement of Science. His philosophical savvy and commitment to science converged in his now century old argument against naturalism. C.S. Lewis revived Balfour’s arguments in 1947 through his book Miracles. Lewis maintained that Balfour’s thesis demonstrated that naturalism is self-refuting. After a debate with female philosopher G.E.M. 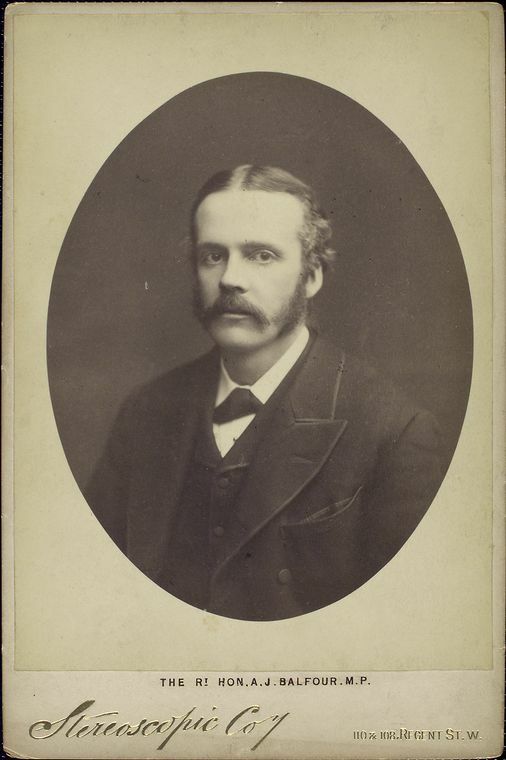 Anscombe, Lewis reformulated the argument, stating that Balfour’s line of reasoning illustrated naturalism’s cardinal difficulty. The argument that influenced Lewis’s writings was first delivered by Balfour in the Gifford Lectures in 1914 at the University of Glasgow. His logic is known today as the Evolutionary Argument Against Naturalism (EAAN) which is made popular for our generation by Alvin Plantinga, University of Notre Dame Professor of Philosophy Emeritus. “But Knowledge—the department of human interest to which I now turn—is differntly placed. The values with which we shall be concerned are mainly rational; and intellectual curiosity is the only emotion with which they are associated. Yet here also two questions arise corresponding to those which we have already dealt with in a different connection: (1) what are the causes of our knowlede, or of that part of our knowledge which concerns the world of common sense and of science? (2) does the naturlastic account of these causes affect the rational value—in other words the validity—of their results? We are, perhaps, more sensitive about the pedigree of our intellectual creed than we are about the pedigree of our tastes or our sentiments. We like to think that beliefs which claim to be rational are the product of a purely rational process; and though, where others are concerned, we complacently admit the intrusion of non-rational links in the causal chain, we have higher ambitions for ourselves. “I trust that I have now made two points clear. The first is that our beliefs may be regarded as the outcome of the two quite different processes or kinds of process, the causal and the rational. The causal proceeds from antecedent to consequent, the rational from premise to conclusion. No doubt there are elements common to both. A cause may be, and sometimes is, a reason. A reason not only may be, but always must be, an effect. Though the two kinds of process are essentially distinct, the one being concerned with the flow of events in time, the other with the connection of beliefs in logic, it is also true that every belief is without exception causally determined, and, in the last resort, determined by antecedents which are not beliefs, nor indeed physical events of any kind, but belong wholly to the non-rational world of matter and motion” (Theism and Thought, 1923, p. 31). The staying power of Balfour’s argument is perhaps best illustrated in the title of the recent, albeit controversial, book by Thomas Nagel, Mind and Cosmos: Why the Materialist Neo-Darwinian Conception of Nature Is Almost Certainly False. In addition to serving as Professor of Philosophy and Law at the New York University, Nagel is a self-described atheist. But, as evident just in the title of his book, he finds naturalism wanting when it comes to providing a basis for the confidence we place in our cognitive faculties.